Hi! Yes I did, from The Knitter's Handbook. There are some great patterns in there. Looking good, it's hard to believe you just learned to knit! I have that yarn! I'm making a scarf out of the same color right now. It's left over from the legwarmers I made awhile ago. Thanks! I love the way it self stripes! The colors look so great together I think! Cell covers are easily attached to your cell phone by snapping or slipping right on your phone. The phone covers will either fit on tight or loose, whichever you like. 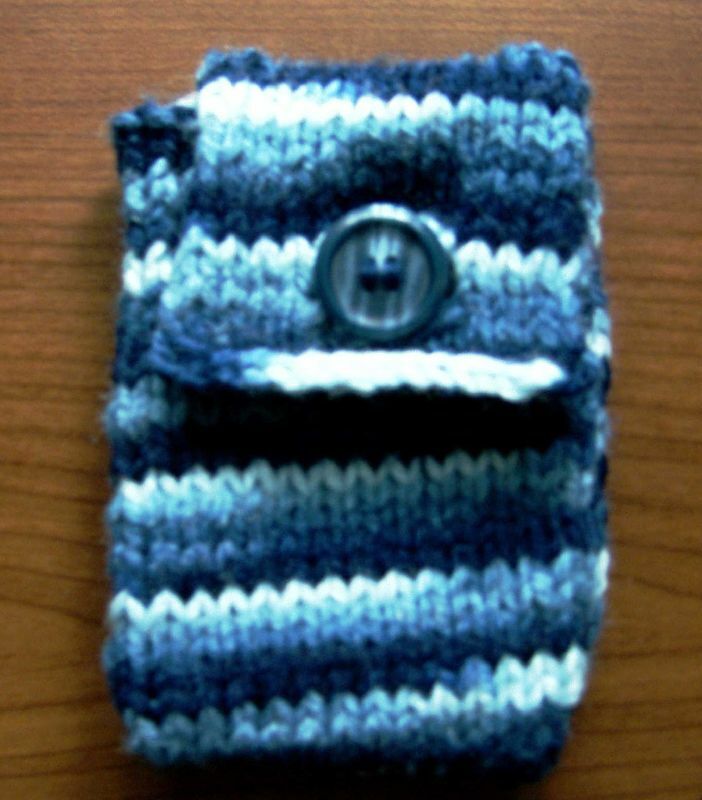 Some cell covers even come with a clip so they can be attached to a belt, which keeps your hands free. The covers are made out of many different types of materials.